As any filmmaker knows, there is never a lack of equipment that can be used on a shoot and often there is more than can be managed effectively. That is what makes the rise of filmmaking apps for iPhones, iPad, and Android devices such a blessing for many emerging filmmakers as they are now able to consolidate many of the tools and devices into their smart phones or tablet devices. 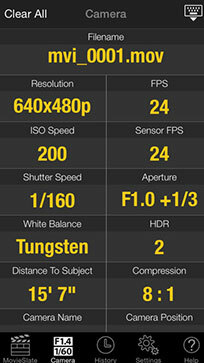 Here are some reviews of the best filmmaking apps out there. Although a little pricey, this professional film and video production tool is essential and an easy way to log footage and take notes as you shoot— saving you valuable time later when capturing/editing, and creating reports. 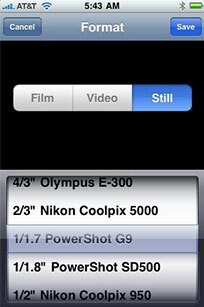 Works seamlessly with Final Cut Pro, Adobe Premiere and other major editing suites. Note that it currently does not work with iOS8, though developers are working on it. 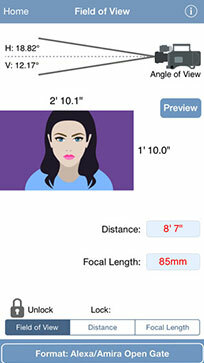 The app allows you to simulate the view of many of today's top cameras and different focal lengths of lenses. 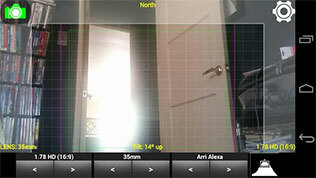 The Viewfinder app even comes with built in grids that gives you the rule of thirds to help with shot composition. You can capture shots directly to your phone's gallery making it easy to print the images out and insert them into your storyboard. 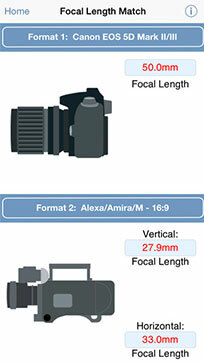 The app is a real time (and money) saver since it allows you to know which lens to use ahead of time. 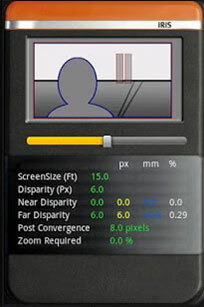 One of the finest depth of field calculators ever released for iOS devices, pCam not only helps you calculate DoF but also effortlessly works out view, exposure, running times, HMI safe speeds and lighting configurations. 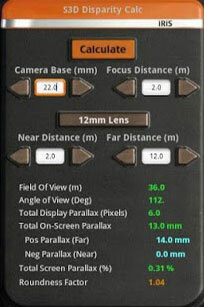 Adding to its versatility is the multitude of formats it can work in, from 16mm to 35mm and many more formats. 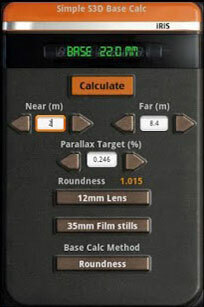 One of the only functional 3D stereoscopic calculators on the Android market, the S3D Base Calculator is a must-have for those who need to have basic stereographic info while on set. It’s not the prettiest app ever made, but what it lacks in aesthetics it more than makes up for in sheer usefulness and functionality. 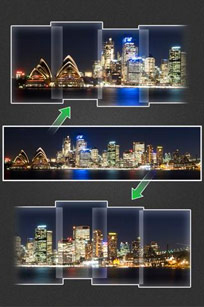 Ever been in a situation where you’ve needed to switch lenses but want to keep the field of view consistent between the two? 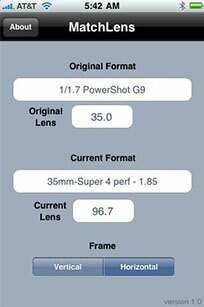 If so, this is the app for you and we’re yet to find a configuration or lens that isn’t covered. Available for both Android and iOS devices. 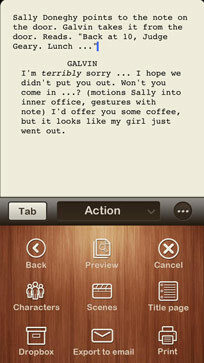 The #1 best-selling screenwriting app, Script Pro makes it easy to create, edit and review a script no matter where you are. You can even use iCloud syncing to move easily from one Apple device to another. 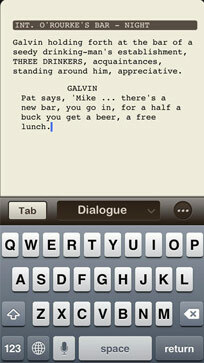 Create a new script, then tab through the different elements like scene headings, action and character and it will format it for you automatically. 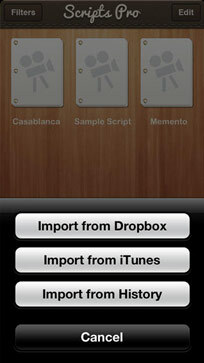 Drag and drop scenes to re-order them, and export to your email or Dropbox when you're finished. It's perfect for cross-platform collaboration, and it supports a variety of formats including Final Draft, Celtx and PDF. 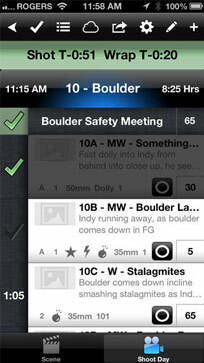 Shot Lister provides an easy method for keeping track of your film schedule and staying organized. 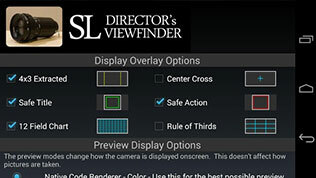 Once you create a new project and establish your scenes, you can update these scenes with information about the shoot such as required gear and a description of what you'll need. 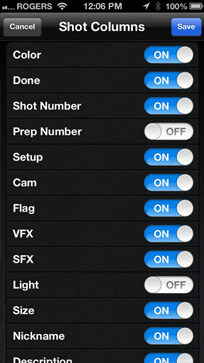 Then, just assign these shoots to specific days and assign a duration for each. 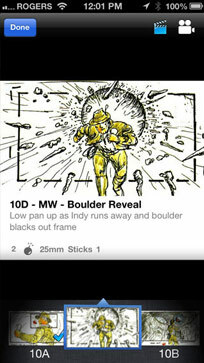 While filming, switch to Live Mode for real-time feedback about whether you're ahead or behind on your schedule, and you can mark shots off as they're completed. 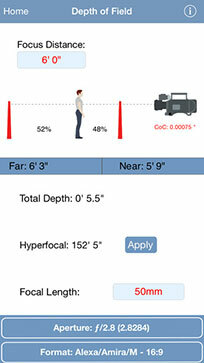 If you're looking for the functionality of Photosynth on an Android device, this free app will fit the bill. 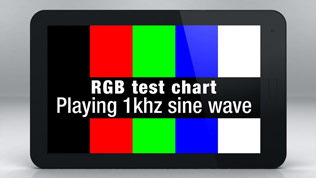 It's compatible with any device running Android 2.2 or greater. 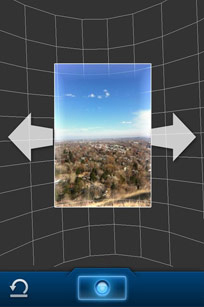 Turn your mobile phone photos into a panorama so you can capture every detail of a space. 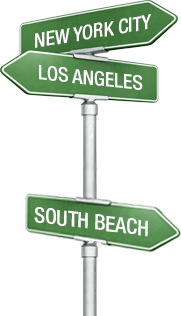 You can use this app for scouting locations as well as putting together establishing shots for your film. 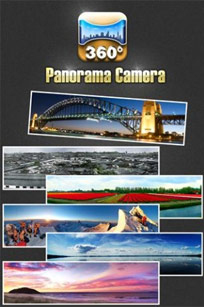 The app is free, and you can easily export and share your panoramas to make planning your shoot a breeze. If you're using multiple cameras or sound recorders, you've undoubtedly run into headaches when trying to synchronize your sound. This app can alleviate some of those troubles. 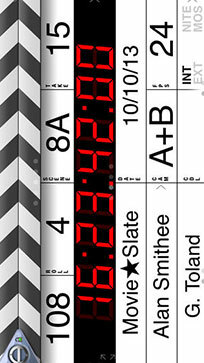 Working just like an ordinary clapper board, Digital Clapper creates a time snapshot for the sound editor. 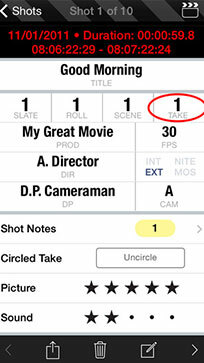 In addition, the app creates a list of shots that can be saved or exported, and a few handy extras like the timecode generator make this app well worth picking up.